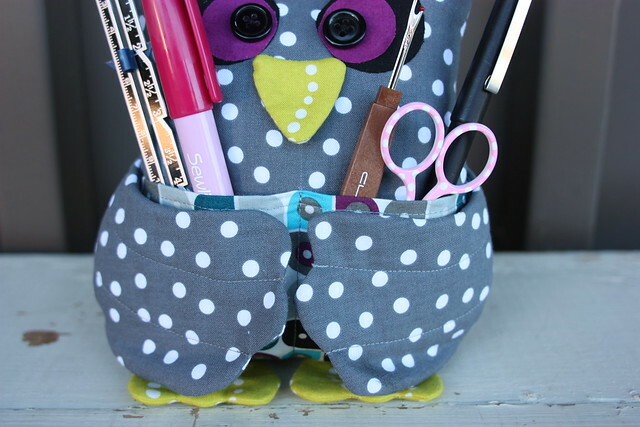 Meet Mr Gray Owl, the sewing buddy! 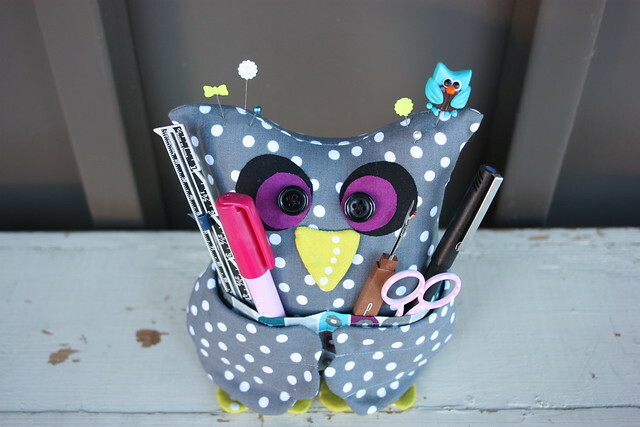 Cindy created Mr Gray Owl, using a tutorial from Shanni Loves. What a helpful little guy! 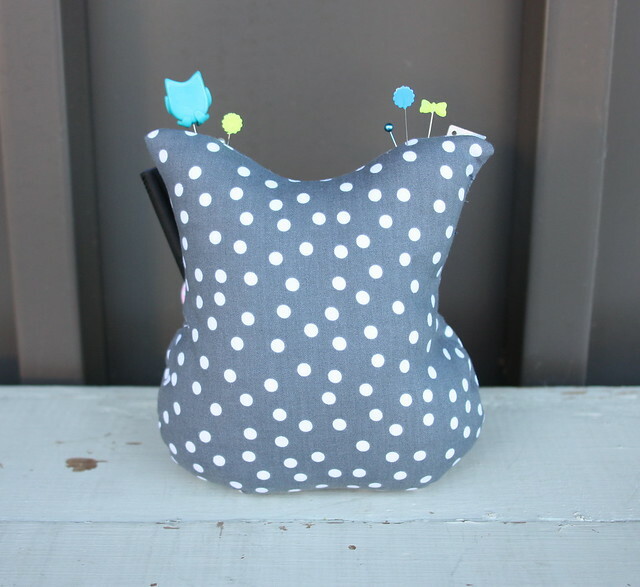 The pockets in front can hold all your sewing essentials. 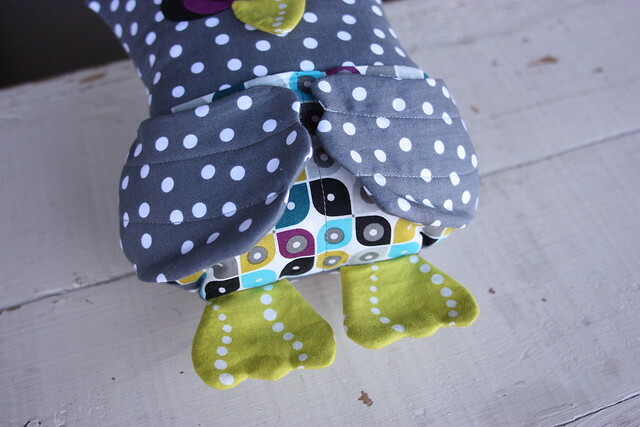 Cindy followed the tutorial, except she basted the feet to the front and tacked on the beak before sewing the front together with the back. Aren’t those the cutest feet ever! For more info, take a look at Cindy’s blog about the little guy over at Daisy Days. Absolutely amazing owl. I’m gonna head over their to check out more on this Lil cutie. Wow, that is just to cute! I’m going to check this out. I think the grandkids would like this on their desk for keeping pencils and and pens in. Love it! Where can I buy the pattern to the ” Owl You Need”? I would like to make it. I Just wanted to hear whether there should be seam allowance to the printed pattern of the owl.